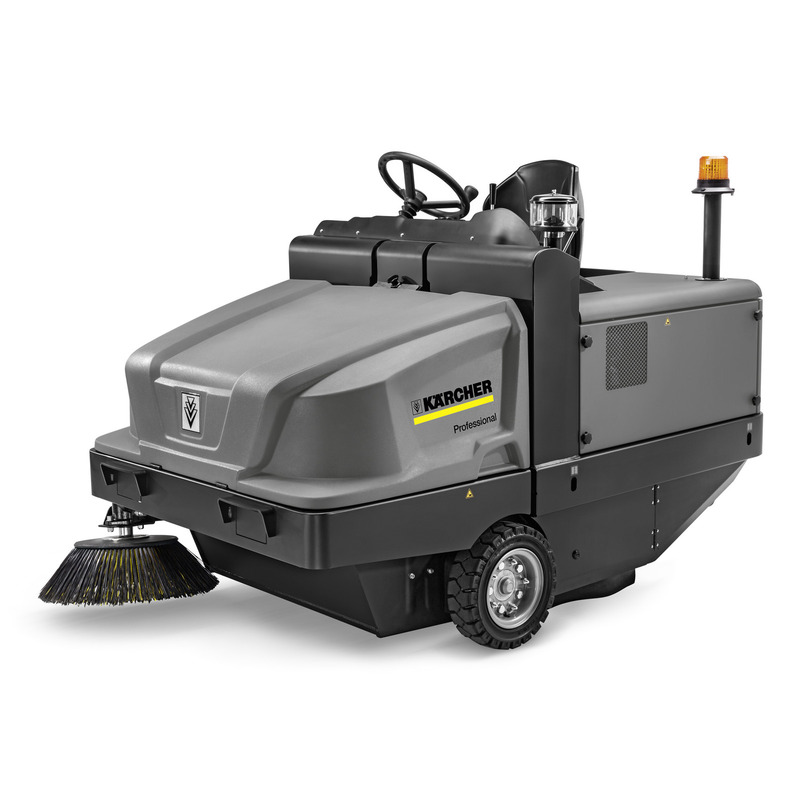 KM 120/250 R LPG Classic 11860010 https://www.kaercher.com/tn/professional/sweepers-and-vacuum-sweepers/industrial-sweepers/km-120-250-r-lpg-classic-11860010.html The eco-friendly gas operation (LPG) of our KM 120/250 R LPG Classic industrial sweeper also means that it can be used inside. With fully hydraulic drive and sweeping system. The eco-friendly gas operation (LPG) of our KM 120/250 R LPG Classic industrial sweeper also means that it can be used inside. With fully hydraulic drive and sweeping system. Our first industrial sweeper in the Classic range, featuring eco-friendly, low-emission and economic gas operation (LPG): the KM 120/250 R LPG Classic is therefore also suitable for use indoors, although it naturally also demonstrates its strengths outdoors. Thanks to its robustness and various equipment features, it is also optimally prepared for even the harshest conditions in extremely dusty environments. Its brushes adapt perfectly to the ground surface and ensure optimum cleaning results, while the clever dustpan principle effortlessly removes fine and coarse waste equally effectively, preventing the dispersion of dust. The basic equipment also includes a resistant pocket filter with vibration motor for cleaning the filter, along with a large waste container with convenient hydraulic high container emptying. Ideal for use in construction companies, the metalworking industry and foundries.